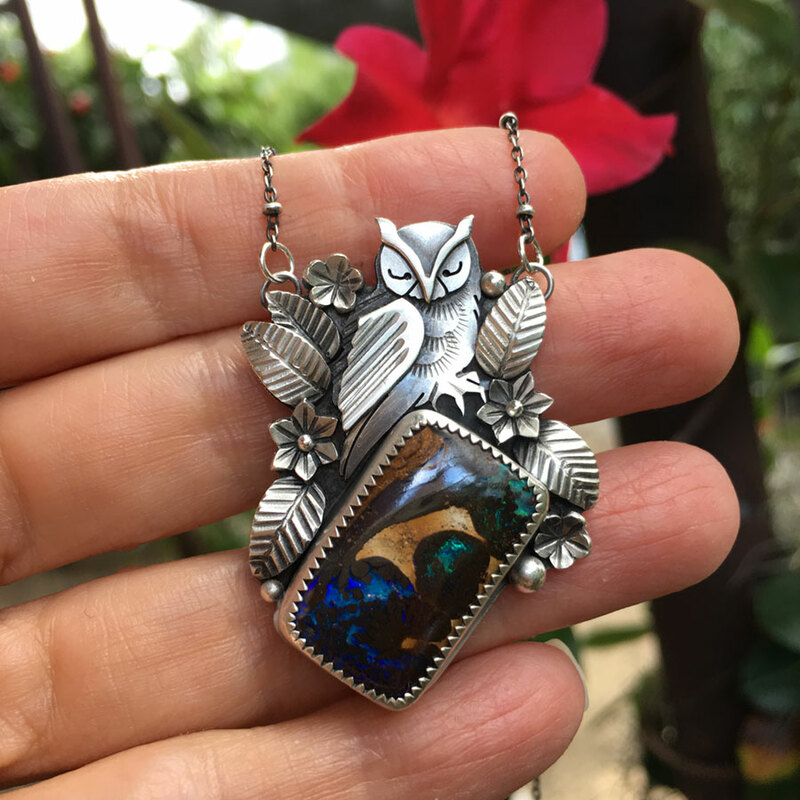 This sweet little snoozy owl rests upon a classic Koroit boulder opal. 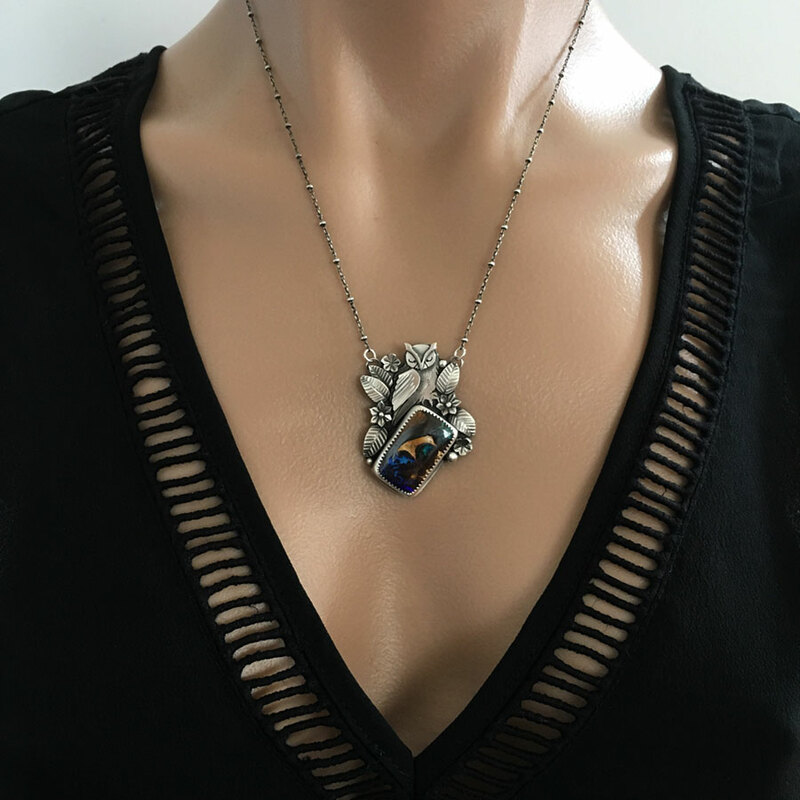 Displaying a lovely green, blue and purple flash against the unique ironstone matrix. 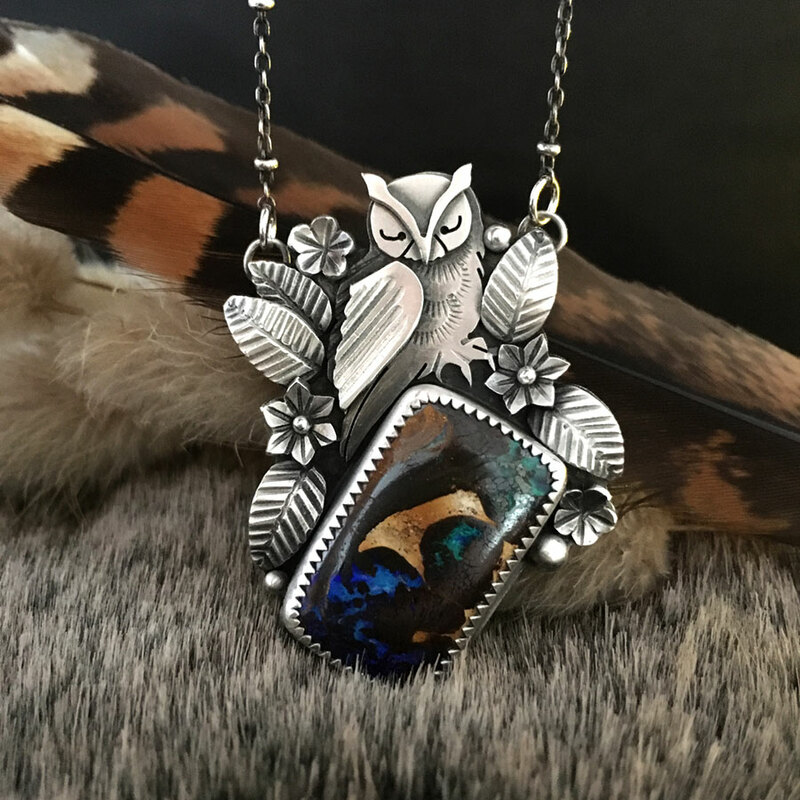 Each piece that makes up the owl and his perch is hand sawn, stamped and filed from recycled sterling silver to create this one of a kind item. 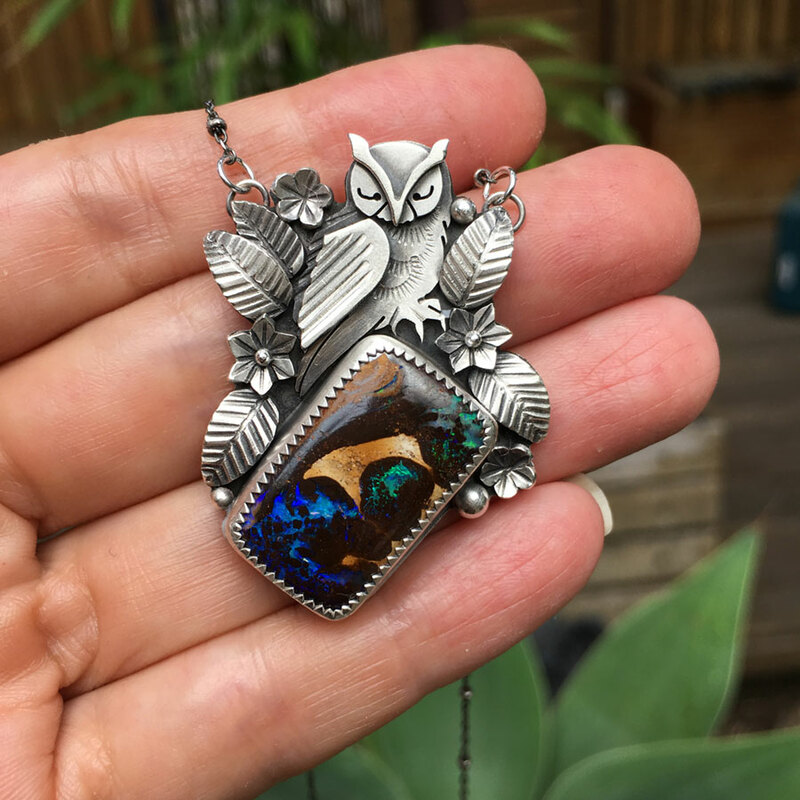 The overall necklace chain and owl included measures 19″ – 48cm and is ready to ship in a gift box. 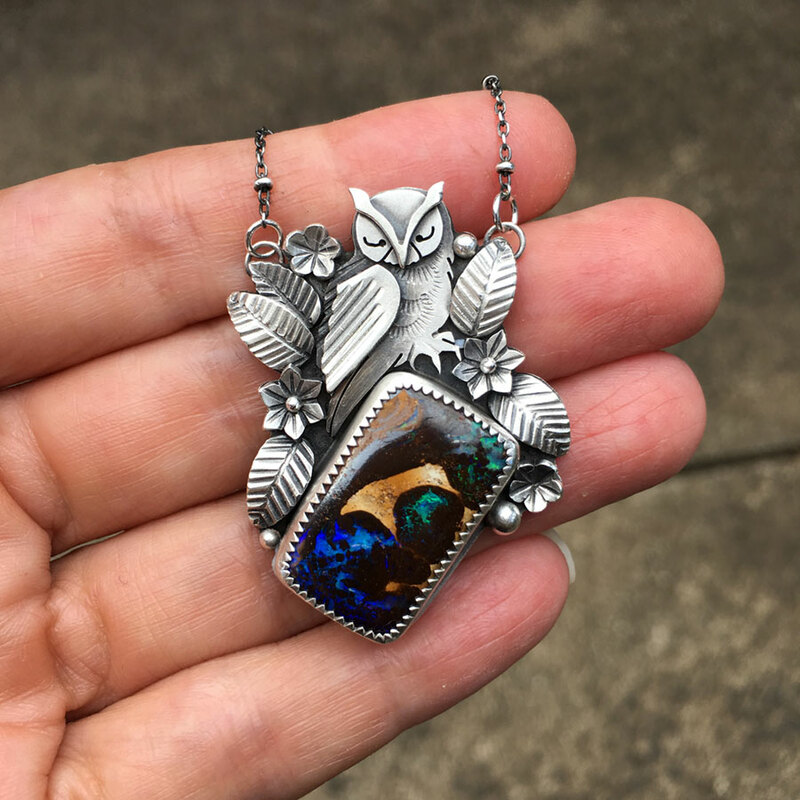 You can see a video of the opal on my instagram account.